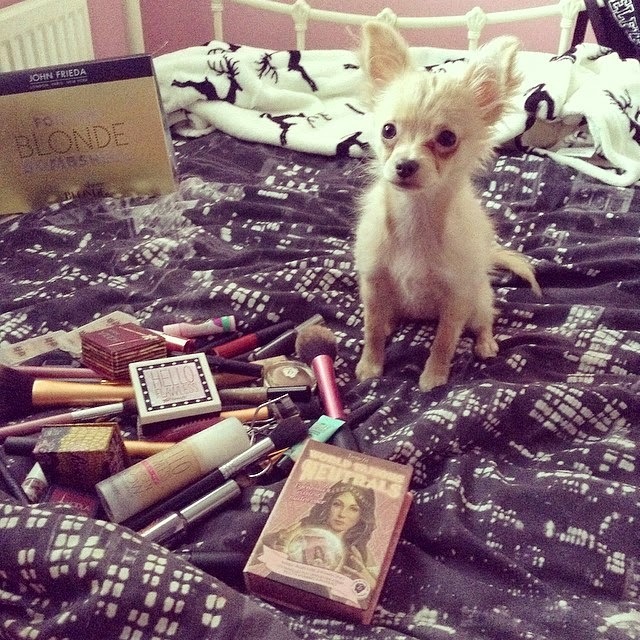 Chloe's Way: £100 PETS PYJAMAS VOUCHER COMPETITION! - WHAT'S BELLE UP TO? "No honey, too much blush and not enough lip." Her job is a beauty blogger & make up advisor and she's saying "I promise, it all just fell into my basket, I had no choice" haha.